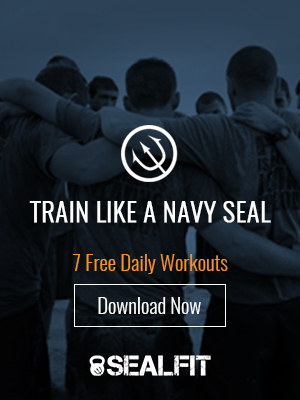 Hooyah – registration for SEALFIT Unbeatable Mind Academy has re-opened! Read what others are saying about the academy and how it is impacting their lives. Then check out the new video explaining how we will help you Forge Mental Toughness, Develop an Offensive Mind, and Cultivate a Warrior Spirit. This program is an accelerated “Integral Warrior” program like no other. We are taking a bold step to teach time-tested warrior development skills to a new generation of warriors – those who will lead us into the 21st century with a Wise and Intuitive Heart (Kokoro); backed by a Skillful Fist (Physical Readiness, Knowledge and Awareness). You will develop your Five Mountains to a depth you never thought capable. You will learn to be a leader, then lead with power and authenticity. If this sounds like something you need, then don’t miss this opportunity to learn from elite warriors and start to live with purpose, discipline and no fear.